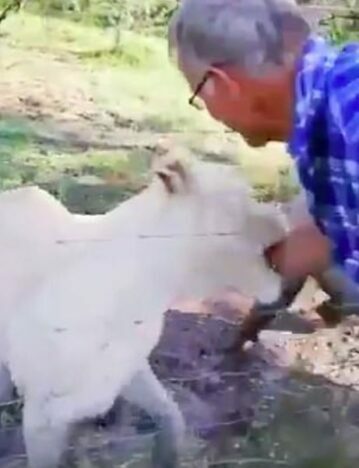 Pieter Nortje, a mechanic from Bloemfontein, was participating in a guided tour of the lions alongside his wife Ilze, when the incident took place. The couple had been staying at Tikwe River Lodge, a game lodge in Virginia, Free State Province in celebration of their ten year anniversary. 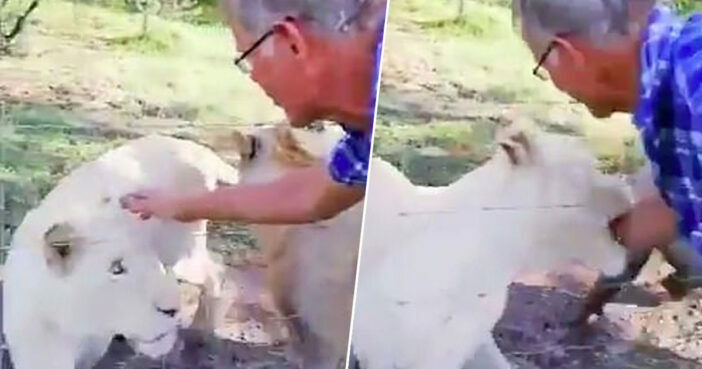 It’s at this point a young lioness walks over, leading Pieter to say, ‘Come here lovey, let daddy stroke you’ while waving his arm through the fence. The lioness then proceeds to sink her teeth into Pieter’s forearm, biting him down to the bone. Peter is pulled towards the fence, with the lioness slashing at his arm with her claws. As reported by Netwerk24, Pieter was rushed to Pelonomi Hospital in Bloemfontein, where he’s said to be in a serious condition and suffering from septic shock. There are warning signs everywhere. Nortje stuck his hand through the electric fence to touch the lions and was bitten.